Free pattern and instruction, beaded project and other project for Adults. 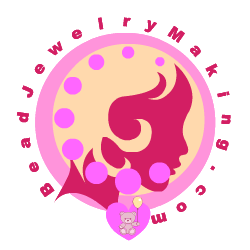 Providing Free Project Instruction and Pattern for Hobbyist. Page 1 of Kid Art Project page. Page 2 of Kid Art Project page. Page 3 of Kid Art Project page. Page 1 of Free Art Bead Project for kid to learn online. Page 2 of Free Art Bead Project for kid to learn online. Page 3 of Free Art Bead Project for kid to learn online. Page 4 of Free Art Bead Project for kid to learn online. Free Beaded Flower project: Beaded Rose. Beaded Ring and Bracelet Project. Other Project - Pearl Cross. Bead Cross Stitch / Beadpoint Instruction. Bead Loom Work Weaving Instruction. Featuring Free Bead projects and Arts and Craft Project here, including Free beaded pattern, instruction, project for Adults, Teens, Kid and the whole family.